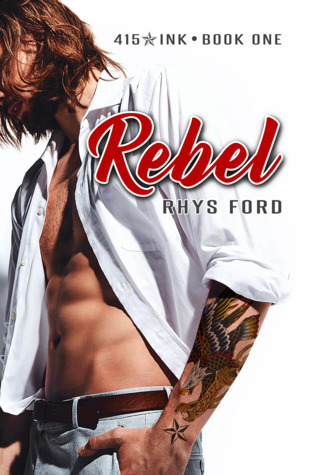 Rebel Review ~ Beautiful story … 10 out of 10! Release Date: 29 December 2017 Price: $7.22 CAN, $5.67 US, £4.23 UK. Cover Art: I thought the cover was great. The picture was simple with enough detail to relate to story and memorable. The font is easy to read. Synopsis: I liked the blurb, the story could have been a little confusing because there were so many details, but going back to the blurb for clarification was great. Plot: I liked that they were once a couple and now had a chance to find their way back to each other, even though there was a lot to go against them. Main Characters: I loved Gus and Rey. I thought they both had issues and there were certainly a lot of things going against them, but they were both willing to make changes and concede to the other without being jerks. Secondary Characters: Gus’s four brothers were very interesting and I can’t wait to read their stories. As well, Chris and Earl were both great, and I loved that Jules and her parents weren’t vilified but an important part of Chris’s life. Flow/Continuity: I thought the story flowed beautifully. It was a slow build as we learned about everyone, their pasts and how they fit together now. Nothing happened fast or easy, but with a realistic time frame. Conflict & Climax: The conflict was definitely internal to Gus and Rey. They both worked hard to resolve issues and compromise. Editing/Formatting: I thought the editing was pretty clean and made it easy to read and follow. The font was easy to read, not too much white space. Price: $7.22 CAN, $5.67 US, £4.23 UK. I think this is a fair price for the amount of story and enjoyment. I must give this 10 out of 10 stars! Previous Second Chances Review ~ A perfect holiday story … 9 out of 10! Next The Fortune Hunter Review ~ Loved it … 10 out of 10!